Kolkata, 19 May: BENGAL Assembly elections 2016 saw number of sportsperson, film actors, and singers fighting it out against the political heavyweights and veterans. Star candidates, as they are identified, were fielded by all political parties but number was surely higher from the Trinamool camp. Baichung Bhutia, former Indian football captain, lost in Siliguri to Ashok Bhattacharya of CPI -M by 14,072 votes. The veteran Left leader got 78,054 votes; Bhutia gave a good fight and fetched 63,982 votes. Vaishali Dalmiya, daughter of former BCCI president late Jagmohan Dalmiya, has won from Bally in Howrah by 15,403 votes. She has polled 52,702 votes as against the 37,299 votes bagged by CPI-M’s Saumendranath Bera. Dipendu Biswas, another footballer in whom Trianmool supremo Mamata Banerjee posed confidence, has not disappointed her. He has won the Basirhat South seat by 24,058 votes. He has got 88,085 votes and defeated his nearest rival from BJP Samik Bhattacharya, who has managed 64,027 votes. Soham Chakraborty, popular Bengali actor for whom several of his co-stars had campaigned has failed to win at the Barjora Assembly seat in Bankura district. Sujit Chakraborty of CPI-M has won the seat narrowly by 616 votes. Total number of votes polled by Chakraborty is 86,873; Sohan got 86,257 votes. 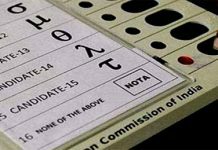 As many as 4,235 voters pressed the NOTA button, much higher than the victory margin. Chiranjeet Chakraborty, Bengali cine star, has managed to retain his Barasat Assembly seat by defeating his arch rival Sanjib Chatterjee of the Forward Bloc. Chiranjeet has got 99,667 votes; his rival has bagged 74,668 votes. Bhitika Mondal of BJP came third in the fray by polling 22,537 votes. Joytirmoyee Shikdar, former Asian Games champion and Rajiv Gandhi Khel Ratna recipient who had been elected to the Lok Sabha on CPI-M ticket, this time contested unsuccessfully from Sonarpur North Assembly constituency. She has been defeated by Firdousi Begum of Trinamool by 24,880 votes. Shikdar has got 77,059 votes against the 1,01,939 votes polled by Begum. Soumitra Roy, a member of Bengali urban folk band Bhoomi, has lost from Chancal Assembly constituency in Malda district. Roy who is regular in Trinamool supremo’s rally has managed to get 40,222 votes. The seat has been won by Congress candidate Asif Mehbub by a massive margin of 52,368 votes. Mehbub polled 92,590 votes. Laxmi Ratan Shukla, a former Bengal cricketer, has won comfortably from Howrah North Assembly seat. He has defeated Santosh Kumar Pathak of Congress by 26,959 votes. Roopa Ganguly of BJP, who had managed to bring in Prime Minister Narendra Modi to campaigning for her, has come third. Shukla has got 61,917 votes, Pathak 34,958 votes, and Ganguly could manage only 31,416 votes. Locket Chatterjee, once known to be close to Trinamool supremo Mamata Banerjee, contested the election on BJP ticket at Mayureshwar in Birbhum. The actor turned politician came third in the fray behind Abhijit Roy of Trinamool and Arup Bag of CPI-M. She was seen as BJP’s star face and had campaigned extensively in the constituency. Chatterjee has managed to get 35,329 votes. Trianmool has got 89,210 votes, and CPI-M got 50,440 votes. Indranil Sen, popular Bengali singer, has won from Chandannagar Assembly seat in Hooghly district on Trinamool ticket. Sen has bagged 75,727 votes as against the 73,613 votes polled by Gautam Sarkar of CPI-M. The seat has recorded 3,853 NOTA voters. Syed Rahim Rabi, the former midfielder popularly known as Nabi, has fought unsuccessfully on Trinamool from Pandua Assembly seat in Hooghly district. Sk Amjad Hussain of CPI-M has defeated Nabi by 1,392 votes. The Left candidate has got 91,489 votes against 90,097 votes polled by Nabi. Debasree Roy, Bengali film actress, has got re-elected from Raidighi by 1,229 votes. 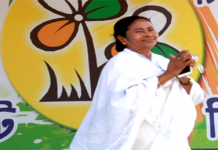 She has defeated CPI-M heavyweight Kanti Ganguly. In 2011, Roy had won the seat by 5,500 votes. Despite anti-incumbency and despite failing to live up to the expectation of the voters, the actor-turned-politician has retained the seat. She has bagged 1,01,161 votes; Ganguly has got 99, 932 votes. Joy Banerjee, another Bengali cine actor, has failed to show his charisma in Suri Assembly seat in Birbhum district. Fielded by BJP, the actor has come third in the fray. The seat has been wrested by Ashok Kumar Chatterjee of Trinamool, who has got 94,036 votes. CPI-M candidate Dr Ram Chandra Dome has got 62,228 votes; Joy Banerjee has managed only 32,112 votes.